There is only one swimming pool in Stanley Park. 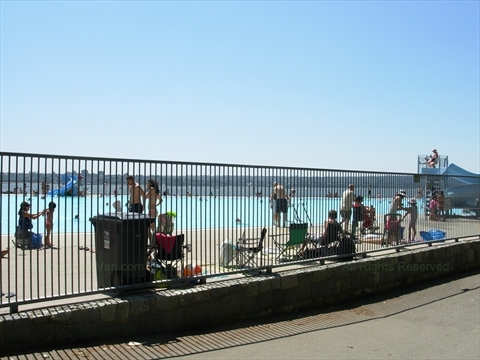 It is the Second Beach Outdoor swimming pool which is open from May to September each year. You can also swim at Second Beach , Third Beach, or at some of the smaller beaches around the park. There is no swimming at Beaver Lake. It is generally too dangerous to swim on the east and north sides of the park. In the past, there was a salt water swimming pool at Lumbermen's Arch area, but it was covered over and is now the Variety Kids Water Park .